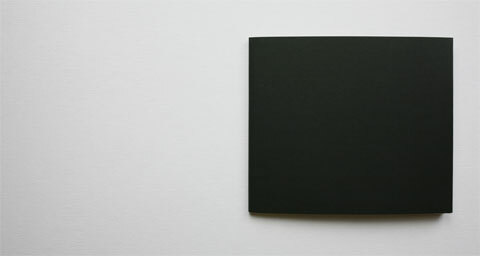 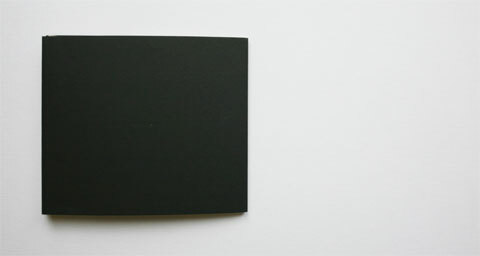 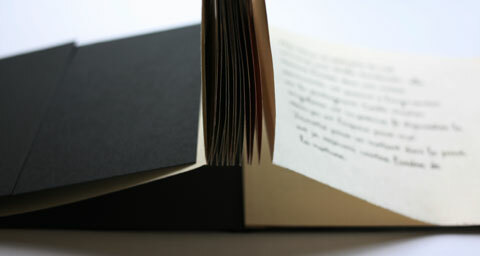 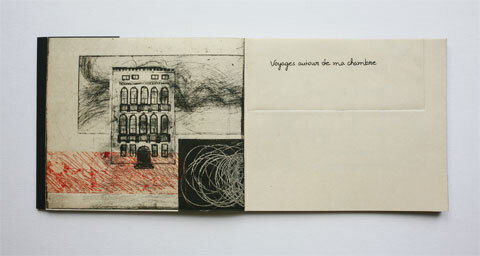 project: Artist book entitled "Voyages autour de ma chambre" (A journey around my room). 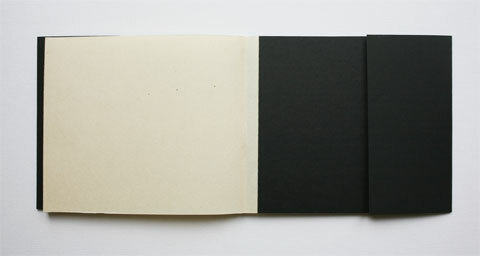 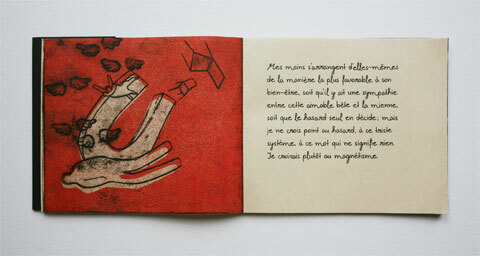 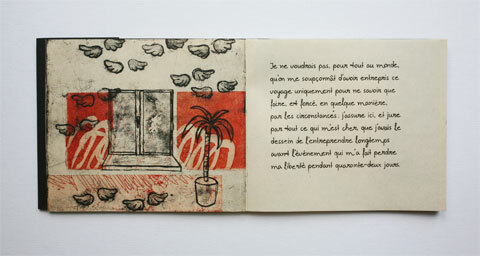 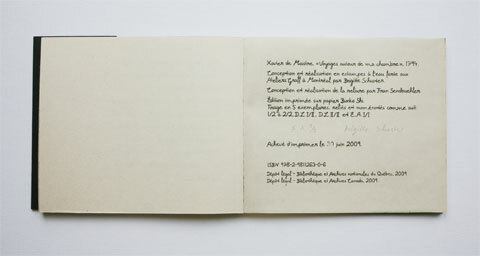 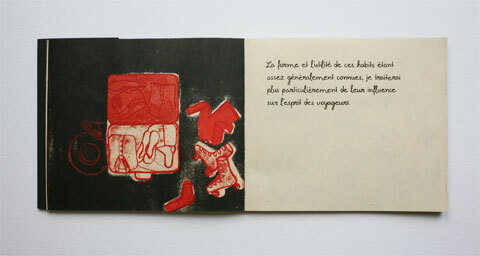 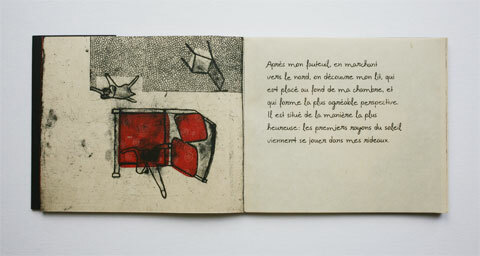 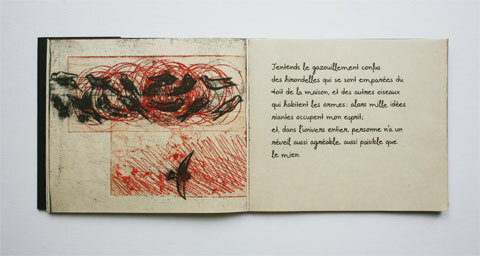 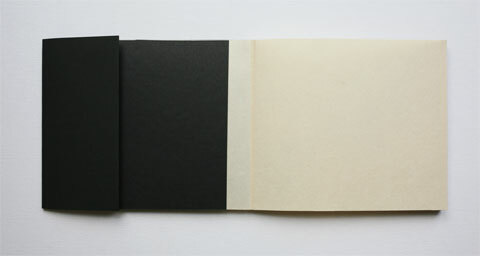 Artist book that illustrates parts of the novel "Voyages autour de ma chambre" by Xavier de Maistre. 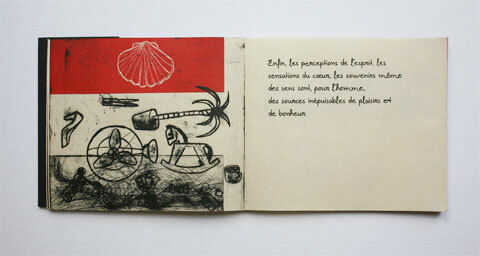 Mixed intaglio techniques, such as acquatinta, ceramolle, photogravure and other. 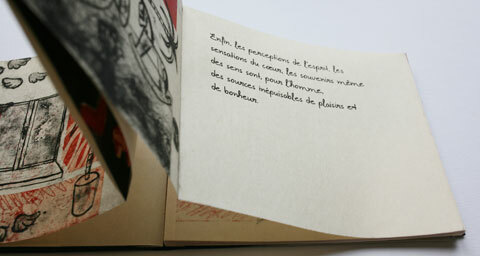 The type is based on my personal handwriting. 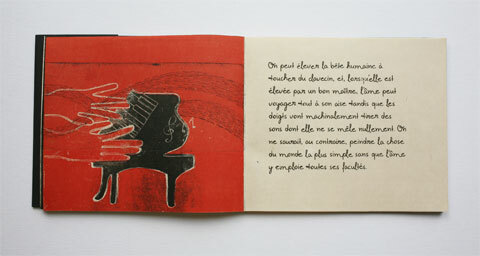 Black and red ink. 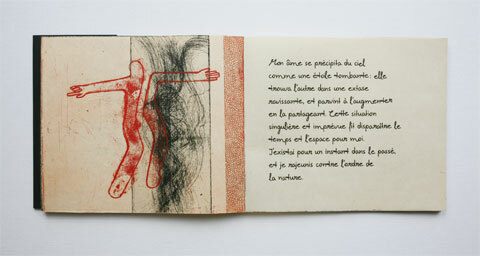 The book, written in 1795, is a description of a journey, which de Maistre undertook in 6 weeks in his room. 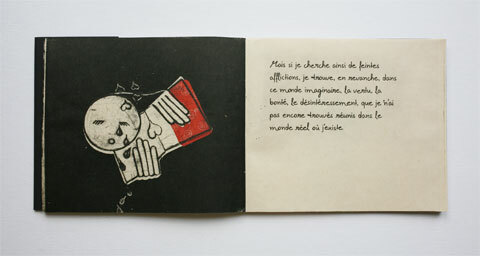 De Maistre’s book is a mixture of memories of life, imagination, daydream, and storytelling. 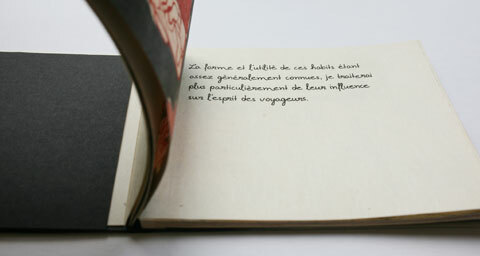 De Maistre shows that the pleasure we derive from journeys is perhaps dependent more on the mindset with which we travel than on the destination we travel to. 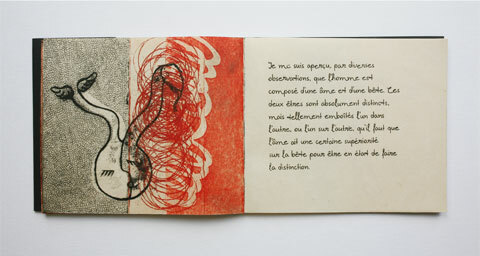 The journey around my room might be as good as any trip around that slightly bigger but equally finite room, the world. 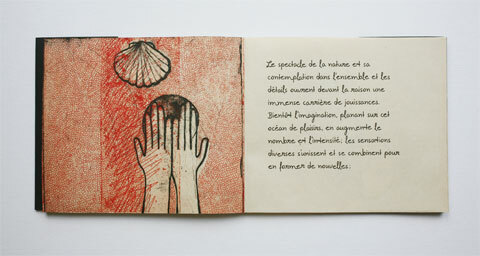 publication: National Archives Quebec, ISBN 9782981126306.